An announcer has apologized for a remark about a Native American player during a lacrosse game that he and the team called “insensitive,” with both team and league vowing disciplinary action. The National Lacrosse League said “necessary disciplinary action will be taken swiftly.” The Philadelphia Wings vowed “swift disciplinary and educational measures” to prevent similar episodes. Hill tweeted that he was "deeply sorry" for his remarks and was trying to reach out to Thompson and his brother and teammate, Miles, to apologize directly. "I understand the profound hurt that my words caused," he tweeted. "I offer my sincere apology. My words do not reflect my personal beliefs but reflect a lack of knowledge on heritage and history." 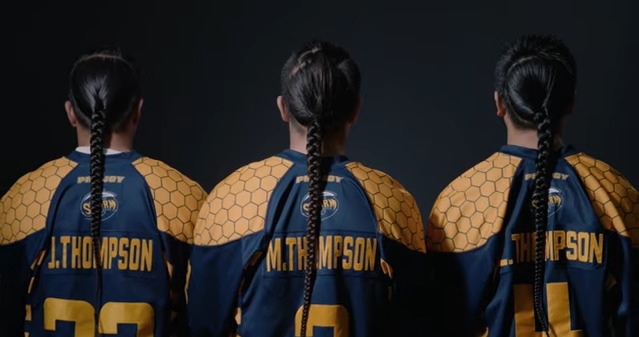 "The league and all of our member clubs have a zero tolerance policy for any derogatory or discriminatory statements made," NLL said in a statement. Responses to "Announcer apologizes for hair remark against Native player; team, league vow discipline"